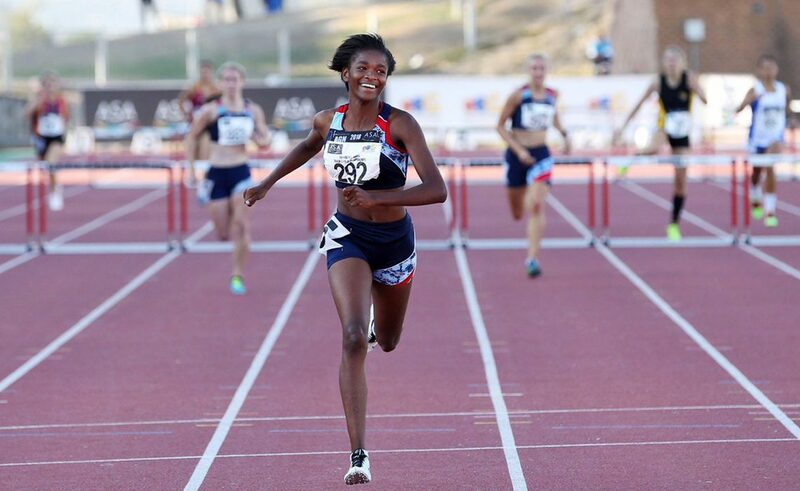 Gontse Morake stole the show, breaking the national youth (U-18) 400m hurdles record, on the opening day of the ASA U-18 and U-20 Championships 2018 at the Dal Josaphat Stadium in Paarl, Western Cape on Thursday. Shooting out the blocks, Gontse Morake stormed around the track in 57.81, finishing nearly four seconds ahead of her nearest opponent in the one-lap final over the barriers. She clipped 0.10 off the previous mark of 57.91 set by Gezelle Magerman at the 2014 Youth Olympic Games in Nanjing. "I've been preparing for this so I'm really glad that it came," Morake said. She hoped to emulate Magerman by securing gold at this year's edition of the Youth Olympics, to be held in Buenos Aires in October. "I'm really working hard towards the Youth Olympics," Morake said. "We want to prove time and time again that South Africans can do it." In the Youth Girls 100m final, Rose Xeyi nearly eclipsed the long-standing national record. She clocked 11.55, narrowly missing the standard of 11.54 set by Mari-Lise Furstenburg in Pretoria in November 1983. "I doubted myself a little, but now that I've run this time it was a surprise to me," Xeyi said. "It's a new personal best, so I can't explain my feelings. I'm just excited." And in the Youth Girls' 2 000m Steeplechase, Cara du Preez also narrowly missed out on the national record after producing a brave front-running effort. She covered the five-lap race in 6:44.43, less than two seconds outside Shanley Koekemoer's SA mark. 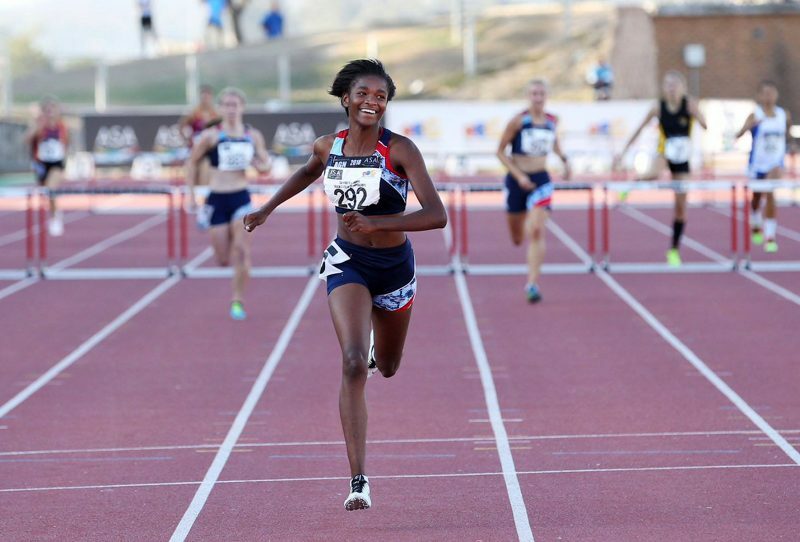 In other events, IAAF U18 Youth world champions Sokwakhana “Soks” Zazini (49.98) and Zeney van der Walt (56.30) won the Junior Men and Women 400m hurdles titles, respectively. World Youth 200m champion Retshidisitswe Mlenga was also in fine form, snatching gold in the Junior Men 100m final in 10.22, edging out Gauteng North teammate Malesela Senona who was credited with the same time.